Travel Lift For Boats Is Cheap Travel Lift High Quality Travel Lift It Includes Electric Travel Lift Hydraulic Travel Lift Great Choice For Boat! 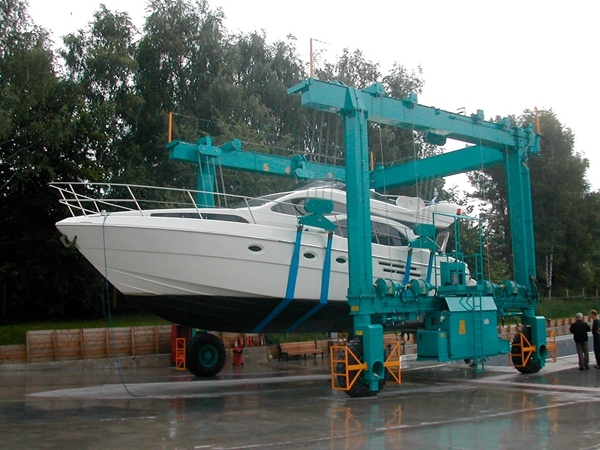 Travel lift for boats is great gantry crane. This machine has many functions, it can be used for lifting, transporting and maintaining boat, and for water sport meeting, aquatic clubs and voyages. 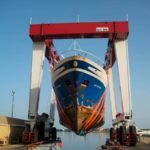 Boats travel lift has simple system, easy operation, flexible move, complete safety protection devices, high efficiency, thus it is priority choice for lifting boats! 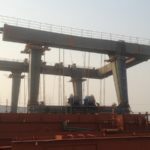 Ellsen Group, a professional and well-known boat hoist manufacturer in China, supplies high quality travel lifts gantry crane for sale. Ellsen popular travel lift has various types, such as remote control travel lift, cabin control travel lift, rubber tyre travel lift for sale, amphibious travel lift, heavy duty travel lift, small boat hoist. 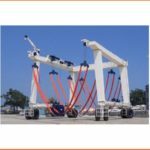 All these travel hoists gantry cranes are designed and produced according to customers’ practical needs and specific requirements. Whatever types of travel lifts customers want to buy, they can purchase suitable types from Ellsen! 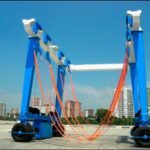 What are safety protection devices of travel lift gantry crane? 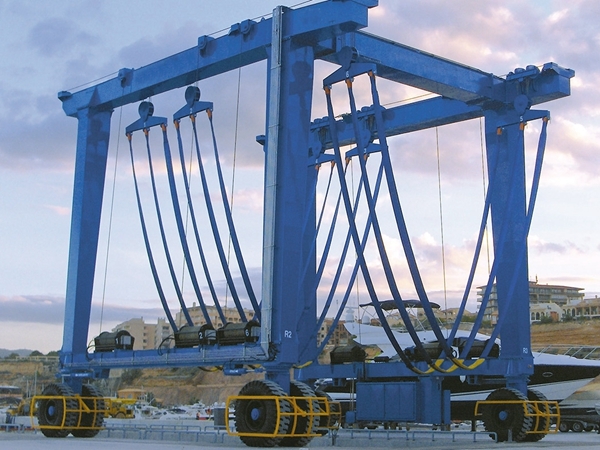 Travel lift gantry crane is kind of heavy duty equipment. For large machine, safety is very important. 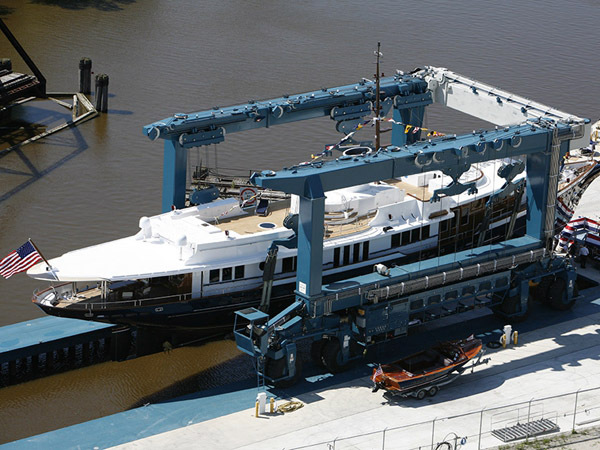 Ellsen provides boat travel lift with safety devices to ensure reliable performance. Automatic rectify deviation control can make that travel hoist move more accurately. Weight overload protection device protect the machine from damage. When travel lift is overload, it can stop machine immediately to prevent accident. Top quality polyurethane buffer can reduce impact mostly. Phase protection is also necessary. It can protect three-phase under emergency. Lifting limit switch ensures the load under rated weight. Cross travelling limit switch and long travelling limit switch can make sure smooth and safe movement. Other safety devices also play important functions, such as voltage lower protection function, emergency stop system, light and alarm system, current overload protection system and lighting system. 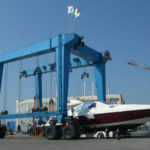 What is qualified boat hoist motor? 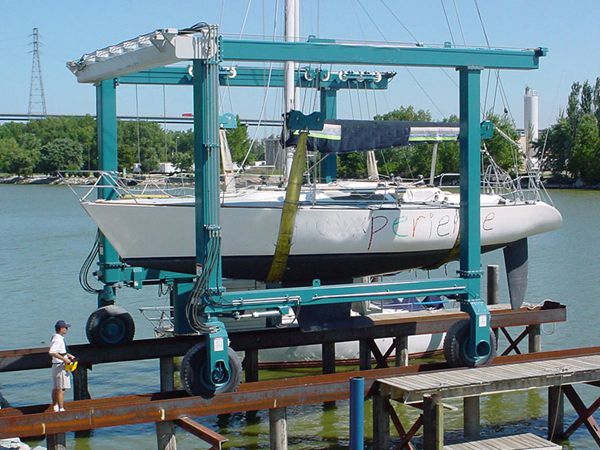 Boat hoist motor is an essential part of boat lift system. Qualified boat hoist motor can service travel lift well, the crane can start fast and stably, and stop immediately and smoothly. This can help increase efficiency and reduce energy, and make working condition better. Excellent travel lift motor has strong power, and ensure that the crane works for long time with few maintenance or repair. 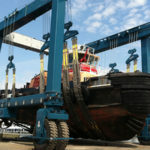 It can lift heavier vessel or boat safely, such as 400 ton boat, 600 ton boat. 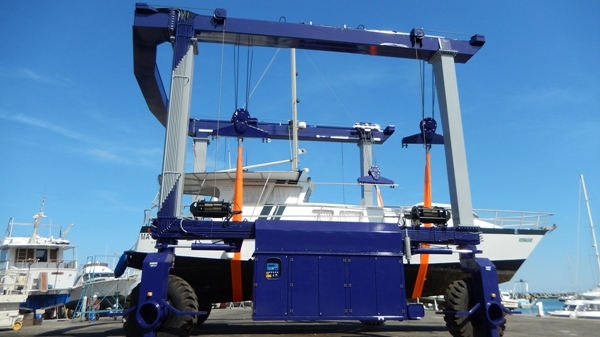 First-class mobile boat lift motor has long service term. Customers don’t need to replace the motor frequently. This can help customers save much extra expense and time. Ellsen pays attention to every part of marine boat hoist. Ellsen designs and produces all parts of boat lift according to national industry safety standards and international requirements. According to different working conditions and practical needs, Ellsen provides customized service and chooses the most suitable boat hoist motor for customers. Ellsen Group grows fast in recent years, and takes a large share of marine travel lift at home and abroad, such as Australia, Malaysia, United States, United Kingdom, Irain, Romania, Israel and so on. 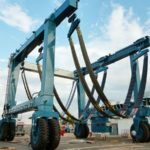 Ellsen secures Australia distributorship for marine travel lift. Ellsen becomes a leader in travel lift market and boat hoist service. Because Ellsen always put customers, quality, technicians and service on the first place. This win customers’ trust and bring many repeat customers. Ellsen has a dedicated product support technician for the marine travel lift product line. All design and producing process are based on national safety standards and international technical requirements. Ellsen will benefit customers with customized service, careful package, fast delivery and installation service. To learn more about Ellsen marine travel lift products, just send email to sales@ellsentravellift.com.